Natural Health News — Drinking a cup of hot tea at least once a day may be linked to a significantly lower risk of developing the serious eye condition, glaucoma. 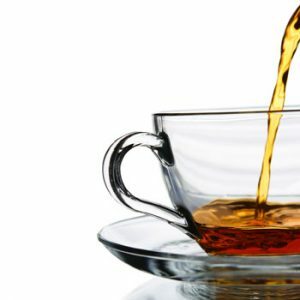 Drinking decaffeinated and caffeinated coffee, decaffeinated tea, iced tea and soft drinks doesn’t seem to make any difference to glaucoma risk, the findings show. » A small observational study has looked at fluid consumption as it relates to eye health. » The researchers found that having hot tea daily could lower the risk of glaucoma by up to 74%. » Other drinks, such as decaffeinated and caffeinated coffee, decaffeinated tea, iced tea and soft drinks did not make any difference to glaucoma risk. For the small observational study, published in the British Journal of Ophthalmology, researchers looked at data from the 2005-2006 National Health and Nutrition Examination Survey (NHANES) in the US. This is a nationally representative annual survey of around 10, 000 people that includes interviews, physical examinations, and blood samples, designed to gauge the health and nutritional status of US adults and children. After taking account of potentially influential factors, such as diabetes and smoking, hot tea-drinkers were 74% less likely to have glaucoma. But no such associations were found for coffee – caffeinated or decaffeinated — decaffeinated tea, iced tea or soft drinks. The survey did not ask about factors like cup size, tea type, or the length of brewing time, all of which might have been influential.